Kyogokudo (Shinichi Tsutsumii) is a used book seller who doubles as an onmyouji, or Heian style occultist. His friend Sekiguchi brings him the story of a woman who has been pregnant for twenty months. Sekiguchi investigates further with the help of his friend Enokizu, a detective with the unusual ability to see people's memories. They are hired by the impossibly pregnant woman's sister to find the woman's missing husband and lay this whole matter to rest. In the end, they need the help of Kyogokudo to exorcize the family curse. 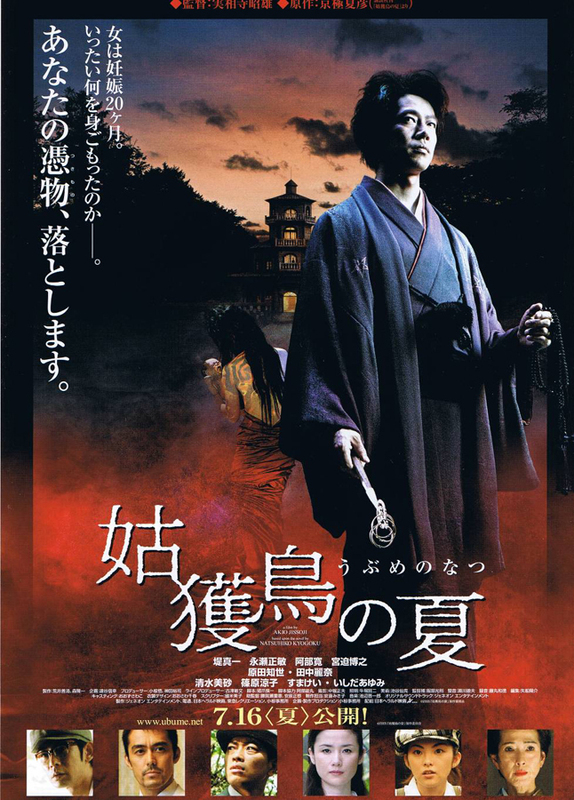 Movie is based on Japanese mystery writer Natsuhiko Kyogoku's 1994 novel "Ubume no Natsu" ("The Summer of Ubume").